The keynote of Signs, Translations is the productive work of paying attention to small, apparently passing, details. Henry David Thoreau is, in a way, a tutelary deity for these poems, and the subject of the poem sequence 'Repossessions'. "No one sees a flower, really," the painter Georgia O'Keeffe once remarked. 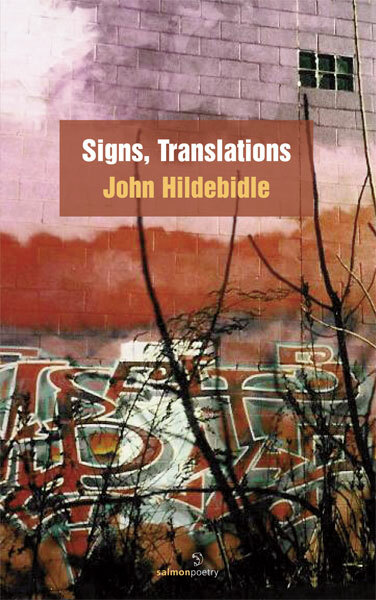 The intention of this book is to allow the reader to see street signs; house fronts; birds; changes of weather, even graffiti, in the light of poetry. John Hildebidle has been a teacher for nearly forty years, from public secondary school, to Harvard, and the Massachusetts Institute of Technology (MIT). He currently teaches English, Irish, and American literature at MIT. He writes poetry and fiction. His third collection of poems Defining Absence was published by Salmon in 1999. Brick never seemed so kind. is a place of prowling beasts. Why do we let the light so toy with the world?